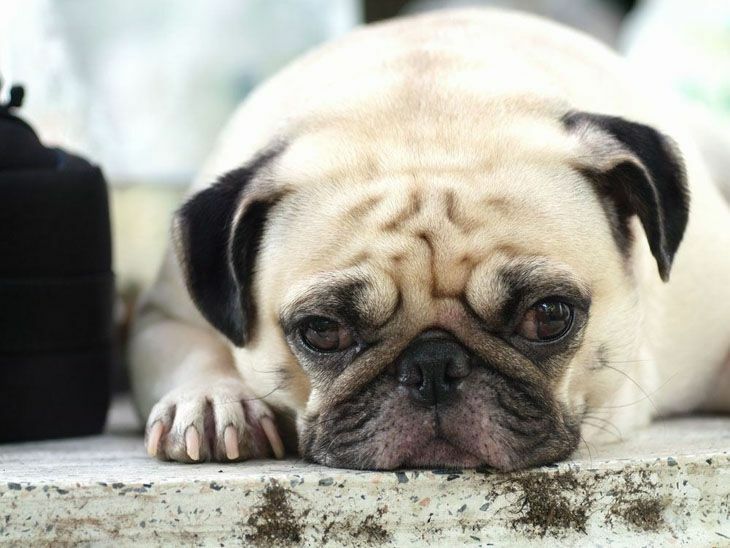 If you own a Pug and are looking for Pug names that match this breed then were confident that you’ll find a name here that you and your pup will like. We here at this website have been fortunate enough to have had more than a few encounters with this breed and were left with nothing but favorable impressions. Not only did we find them to be an affectionate dog, but also one that left us laughing on more than one occasion at their antics. 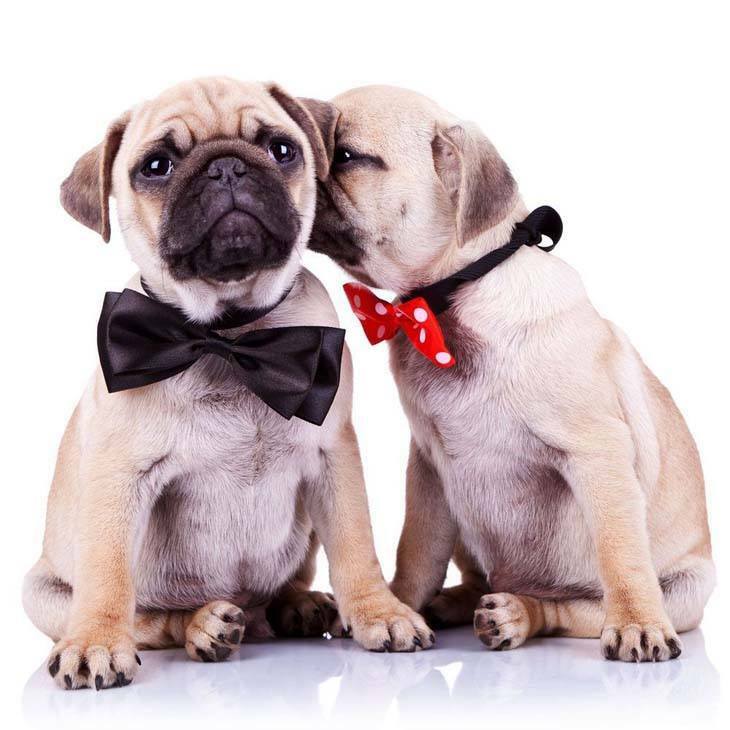 We’re sure that you’ve already noticed many of the same characteristics in your Pug and need us to go no further with our own impressions, yet there are a few facts about this breed that you might find interesting. *That the truest form of this breed began to arise in the 16th century in China? They arrived in other parts of the world thru sailors from the Dutch India Trading Co. that took this breed with them on their worldly voyages. *It’s believed that at some point in their evolution they mixed with other small, compact dogs, such as the English Bulldog. Even Pugs get lonely for canine companionship on their long salty trips if you know what we mean. *They tend to have minds of their own when it comes to training beyond the basics, as they might exhibit an occasional stubborn streak. *They tend to overheat, as their spunkiness at times tends to be greater than their common sense. Hmmm, do Pugs have common sense? Were not sure, but we do know they have spunkiness! Amigo: Choose this moniker for the little guy that is a true companion and friend. Always friendly and pleasing, this Pug will follow you wherever you go. A cool male Pug name for the dog that is like your little shadow. Babbs: This girl is animated in nature, and she is always happy about something. Babbs loves to play and she enjoys walks to the park. She will sometimes observe the scene before joining in. 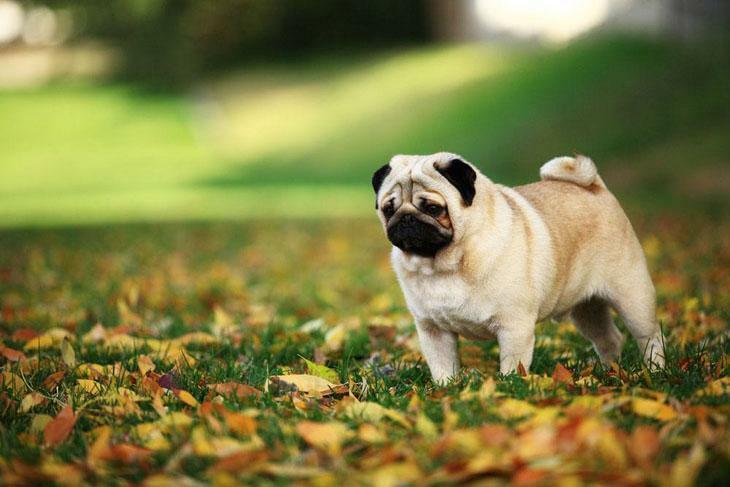 Beans: Choose this male Pug name for the dog that enjoys the company of children, strangers and all those around him. Beans is very sociable and he thinks that he is all you got. Always present when he is needed, this boy will never leave your side. Bella: Meaning beautiful, this girl is so bubbly and vivacious that she will sometimes do some very strange and funny looking things to get your attention. Always sturdy and stable, this girl will demand all of your attention. Champ: Always walking around proud, this moniker is for the Pug that is the champion of your heart and home. Champ is always listening for any unusual sounds, and he is the sweetest, and most adorable dog that you will ever find. Dash: This boy is a friendly, playful dog with a wonderful temperament. Dash is a natural clown, and he will always find new and creative ways to keep you entertained. Dewey: Happy to be around people and is always watching the family's interactions and the activities, this male Pug name is perfect for the laid back dog. With Dewey, you have a friend for life, and he is one that will prefer your company to anyone else. Duke: Larger than life, this male Pug is very confident, sociable and loves to take walks to the park. Duke will follow you around and watch your every action. Elvira: Cooler than cool, this girl will take care of the whole family. Elvira is very kind-hearted and will let you play with her as long as you like. A nice female Pug name for your companion. Jelly Bean: This silly boy likes to spin in circles, either when standing or seated, just to amuse you. Jelly is a young pup at heart even when he is fully grown. Madge: Give this female Pug name to the natural clown that will keep you entertained. Always on the outlook for fun, this girl is somewhat spoiled but has not turned into a tyrant. Meatball: This male Pug is so cool, and he likes when everyone worships him. Meatball loves to be the center of your attention, and he will do almost anything to be at the table when Italian is served. Miss Piggy: This little lady is no push over. Always looking to have her own way, this sassy little dog has a wonderful temper that will just make you smile. Miss Piggy: This little lady is no push over. 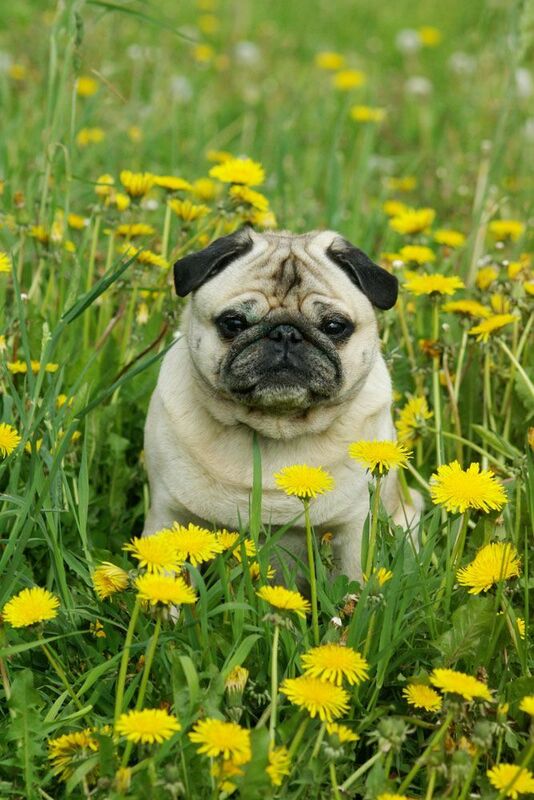 Always looking to have her own way, this sassy little Pug has a wonderful temper that will just make you smile. Male Puppies: Good names for older dogs too!